Higher education is a large and powerful constituency that includes science and policy experts, community leaders, and young adults who will be most affected by climate change. Together they wield enormous intellectual, political, and economic capital. We believe that higher education's role as creators and disseminators of knowledge, as well as its mission to educate responsible citizens, puts it in a unique and powerful position as an advocate for climate action. 1. What is your target? Which colleges or universities will be your target for outreach? Schools that are local to you are obvious choices, but if you live in an area with a lot of schools, which ones have the most potential for engagement? Where do you have connections that you could utilize? Maybe you are also interested in doing outreach to your alma mater. How might you build connections to the staff, alumni, and faculty? 3. Create a strategy that matches your goals. Different goals require different strategies. If your goal is to obtain the President's endorsement, that might start with a meeting with the sustainability director to learn about the President's track record on climate change and endorsements. Check out the endorsements page for information. If your goal is student engagement, you might start with contacting faculty in the environmental studies department, or the leaders of existing environmental groups to identify a student leader. Please contact clara.fang@citizensclimatelobby.org if you need help with strategy. 4. Research: Once you've identified your goals and target university, identify the people you want to reach out to. Key people to know are the school’s sustainability coordinator, environmental studies faculty, and civic engagement coordinator. We keep a list of school contacts that you can search or add to. Please contact clara.fang@citizensclimatelobby.org to get access to that list. 5. Email: Reach out to contacts at your target universities and tell them about the opportunities for student civic engagement. Use this Outreach Template Email as a starting point for reaching out to faculty and staff, and direct them to our website citizensclimatehighered.org or our brochure. Invite them to a call with you to discuss opportunities for collaboration. 6. Call: For those who respond to the call invite, have a conversation with them about opportunities for collaboration. Depending on your goals, ask them questions about how you can further engage with the school. What sustainability events are being organized on campus? Can we contribute to that event by tabling, hosting a film, or giving a presentation? Could we present to your class, department, or campus? Do you know students who would be interested starting a climate club or campaign? Can you share our student leadership opportunities with your students? We’re having a conference in ____ on DATE. Would you be interested in taking your students or giving them extra credit to come? Would you be interested in helping us pursue the president’s endorsement? Would you be interested in taking your students to meet with your member of Congress? Would your students be interested in internships with CCL? Could they be awarded academic credit? 7. Table: September and January are good times to table on campus, as well as Earth Week. Students at the start of the semester are eager to get involved in organizations, and missing the opportunity to do so early means that they will get involved in other organizations instead of ours. Contact the student activities coordinator to find out how to table at your school. Download our flyers and resources for tabling. 8. Present: Presentations are a great way to share more deeply about CCL. You can ask a department to have them sponsor a talk by you, or get invited by a student group. I have updated and created new presentations that you can use! Download them at citizensclimatehighered.org/presentations. Join our Campus Leaders Program to learn how to start a campaign or chapter at their school. Apply to be a Regional Fellow. Find out how to do an internship with CCL. Volunteer with a local chapter. Join our intro call to find out more. Email/call them to follow up and CC me (clara.fang@citizensclimatelobby.org) so that I can further follow up with them and add them to our higher ed mailing list. The Higher Education Resource Folder contains documents and materials to help you succeed with higher ed outreach. Download our brochure and annual report. Connect with other higher ed allies! Contact Clara Fang at clara.fang@citizensclimatelobby.org to join the higher ed allies group. You'll receive invites to group calls, monthly action sheets, and individual support. Join our group on Facebook. 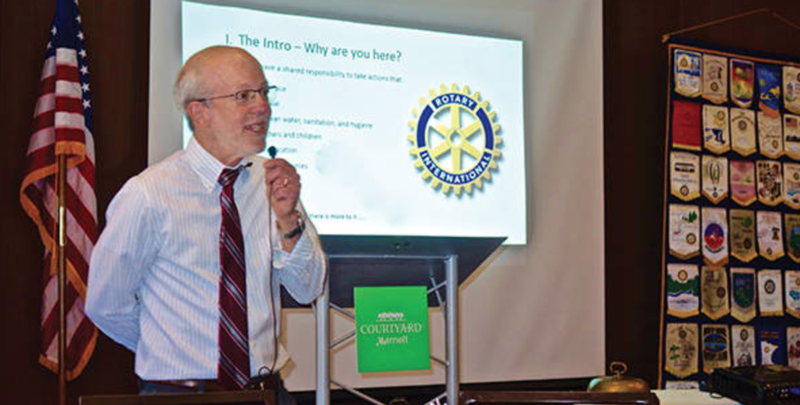 Science professor, Henry Jakubowski, at a Rotary Club in Minnesota. Click on the picture to read his story. 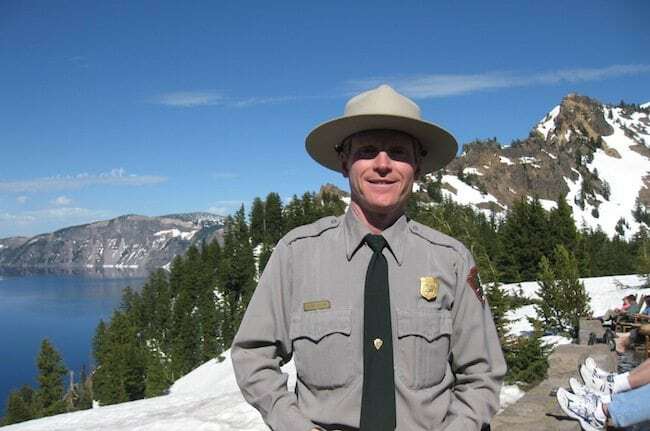 Park ranger turned climate activist, Brian Ettling, at Crater Lake National Park. Click on the picture to read his story.